This practical beginner-level introduction to health sciences research is ideal for both students and health professionals. It assumes the reader has little or no experience with analyzing published research, and provides guidelines for reading and understanding research articles, as well as information about important elements of published research (e.g., research methods, common terminology, data analysis and results). The book also briefly discusses how research results can be used and applied to practice. "An excellent practical resource, which is user-friendly and helpful for understanding and reading research. It provides useful tips; exercises and weblinks to further enhance the understanding within the book...The highlights are the simplicity of the book in terms of how it has been practically applied and the level of enhanced understanding for those new or in the early stages of research. 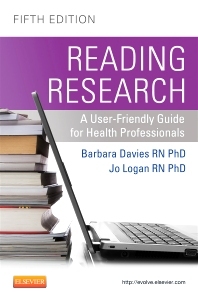 It also provides an excellent reference book for those already undertaking research with good reminders and clear explanations...This book would be useful to healthcare professionals new to and experienced in research who want to enhance their understanding in reading research reports and undertaking their own research." "This practical, beginner-level introduction to health sciences research guides us through the questions we should ask we as we read. It is an accessible resource for those with little or no experience of analysing published research, explaining common technology, data analysis and results...It includes an excellent glossary and bibliography, with worksheets to help examine the validity of systematic reviews and qualitative and quantitative and mixed-methods research...Overall, this is a most useful book."